wood hammer mill are used for grinding the bio-mass like straw /stalk / wood chips / tree branches and forest waste into small granular material of less than 3-5mm,which is perfect size before pelletizing and briquetting. 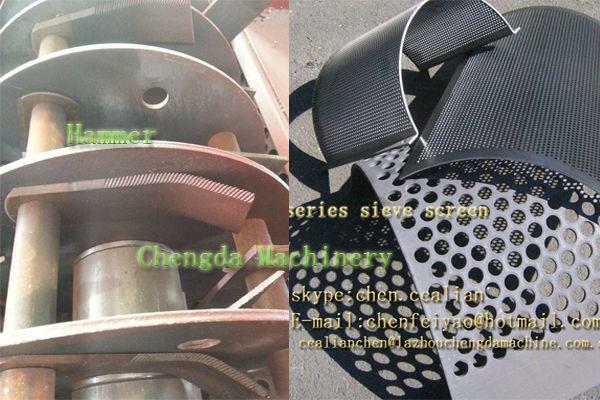 we have the hammer mill capacity from 100kg/h to 1200kg/h. we have the pellet machine ,can make your powder into the sawdust pellet and fodder pellet. we have the pellet cooler ,can make the hot pellet turn into the ordinal tempeter. bring this PI to the bank, and ask to make T/T for the payment. For single set, your machine can be ready within 30-45 days after we getting the payment, we will send to the port and deliver to you by sea. 3. How to get to your factory? Our company is located in Sanlihezi Village, Wenfeng Road, Laizhou, Shandong province, near Qingdao, if you arrive in Qingdao Liuting Airport, we can drive to Qingdao to pick you up to our factory. 4. How long is your warranty period? 5. How does your factory do quality control?